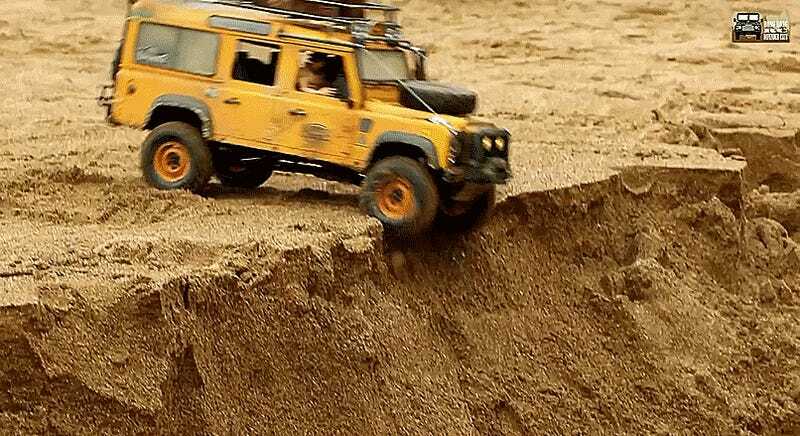 Land Rover used to run an intense annual cross-country driving challenge to show off the capabilities of their 4x4s. We’re talking long slogs epic landscape panoramas and lots of digging in the mud. A real event hasn’t been hosted in years, but some creative fans found a practical way to bring it back. The detail on these R/C Land Rover Defenders is good enough that if you squint, stand on one leg, and look at your computer from a few feet back you just might believe you’re watching the real thing. But who cares! The workmanship and capability of these tiny trucks is so impressive I think they’re still cool to look at even if you couldn’t fit inside. Club member Gary Yuen posted to this Hong Kong RC Defender Club Facebook group on Christmas Day, and it really made me wish I’d gotten one of these beauties under my tree this year.